The scene of John Wilkes Booth shooting Abraham Lincoln in Ford’s Theatre is among the most vivid and indelible images in American history. The literal story of what happened on April 14, 1865, is familiar: Lincoln was killed by John Wilkes Booth, a lunatic enraged by the Union victory and the prospect of black citizenship. Yet who Booth really was—besides a killer—is less well known. The magnitude of his crime has obscured for generations a startling personal story that was integral to his motivation. 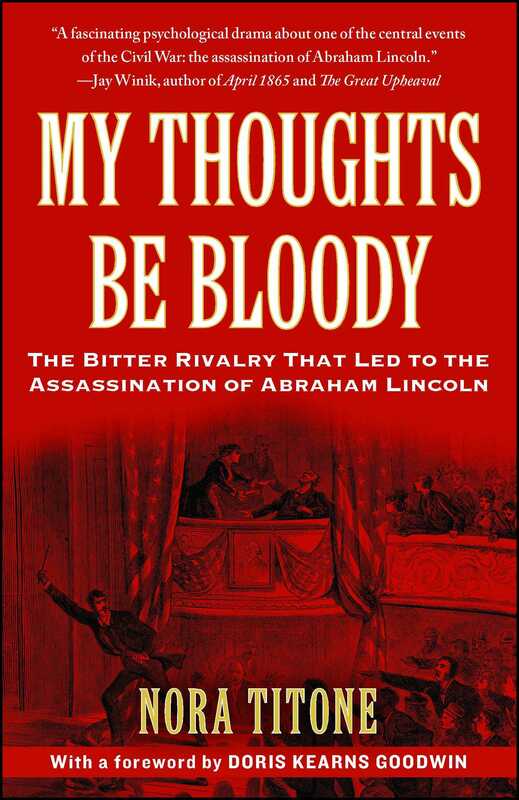 My Thoughts Be Bloody, a sweeping family saga, revives an extraordinary figure whose name has been missing, until now, from the story of President Lincoln’s death. Edwin Booth, John Wilkes’s older brother by four years, was in his day the biggest star of the American stage. He won his celebrity at the precocious age of nineteen, before the Civil War began, when John Wilkes was a schoolboy. Without an account of Edwin Booth, author Nora Titone argues, the real story of Lincoln’s assassin has never been told. Using an array of private letters, diaries, and reminiscences of the Booth family, Titone has uncovered a hidden history that reveals the reasons why John Wilkes Booth became this country’s most notorious assassin. These ambitious brothers, born to theatrical parents, enacted a tale of mutual jealousy and resentment worthy of a Shakespearean tragedy. From childhood, the stage-struck brothers were rivals for the approval of their father, legendary British actor Junius Brutus Booth. After his death, Edwin and John Wilkes were locked in a fierce contest to claim his legacy of fame. This strange family history and powerful sibling rivalry were the crucibles of John Wilkes’s character, exacerbating his political passions and driving him into a life of conspiracy. To re-create the lost world of Edwin and John Wilkes Booth, this book takes readers on a panoramic tour of nineteenth-century America, from the streets of 1840s Baltimore to the gold fields of California, from the jungles of the Isthmus of Panama to the glittering mansions of Gilded Age New York. Edwin, ruthlessly competitive and gifted, did everything he could to lock his younger brother out of the theatrical game. As he came of age, John Wilkes found his plans for stardom thwarted by his older sibling’s meteoric rise. Their divergent paths—Edwin’s an upward race to riches and social prominence, and John’s a downward spiral into failure and obscurity—kept pace with the hardening of their opposite political views and their mutual dislike. The details of the conspiracy to kill Lincoln have been well documented elsewhere. My Thoughts Be Bloody tells a new story, one that explains for the first time why Lincoln’s assassin decided to conspire against the president in the first place, and sets that decision in the context of a bitterly divided family—and nation. By the end of this riveting journey, readers will see Abraham Lincoln’s death less as the result of the war between the North and South and more as the climax of a dark struggle between two brothers who never wore the uniform of soldiers, except on stage. 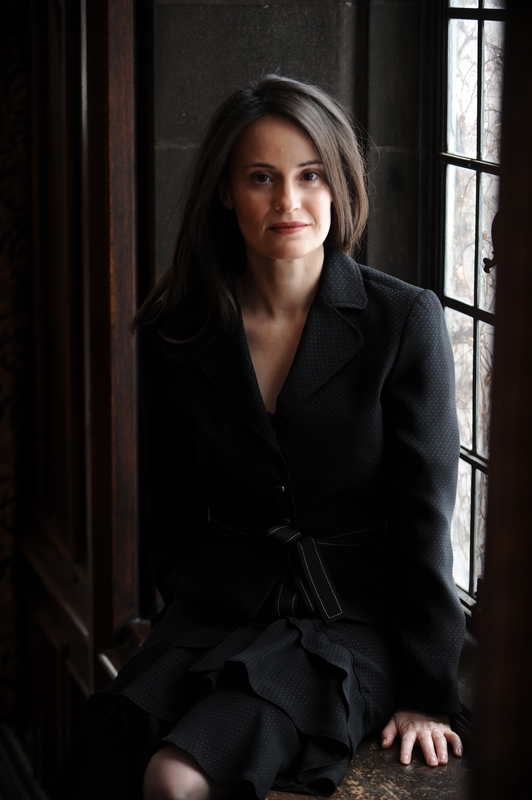 Nora Titone studied American History and Literature as an undergraduate at Harvard University, and earned an M.A. in History at the University of California, Berkeley. She has worked as a historical researcher for a range of academics, writers and artists involved in projects about nineteenth-century America. She lives in Chicago and this is her first book.